Contents: 12 paper plates in 3 designs. 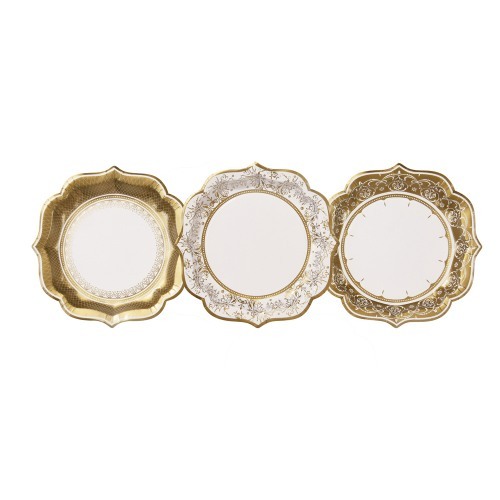 The 3 Design Medium Gold Plates are the perect addition to your vinatge porcelain collection. This beautiful gold partyware is suitable for weddings, anniversaries and stylish buffets.